My life’s pace is in overdrive mode. Normally, I thrive on being busy, enjoying the “doing” rather than having too much time for contemplating. But I’ve been finding myself having to catch up on most things lately and to be honest, I don’t like this feeling. Being a bit of a control freak, I prefer order in my day and don’t like having to carry forward my to-do list. This is consistent with the cycle of life, isn’t it? Some moments are crazy and others are peacefully tranquil. I think it all boils down to the fact that my normal routine has gone by the wayside–deadlines abound at work and due to all the rain, I haven’t been able to spend as much time outdoors. Together, they’ve made me feel less than my usual perky self. When I was a bank teller in college, some of my regular customers nicknamed me “Smiley” and “Happy”. If these people could see me now, I’d feel like an impostor. So whether it be busyness or the rain dampening my mood, I was happy to have a couple of hours in my kitchen today to make a healthy treat. I’ve been meaning to try my hand at granola bars for a long time but I haven’t found a worthy recipe until now. I found one that uses caramel as the binding ingredient so I had to try it. 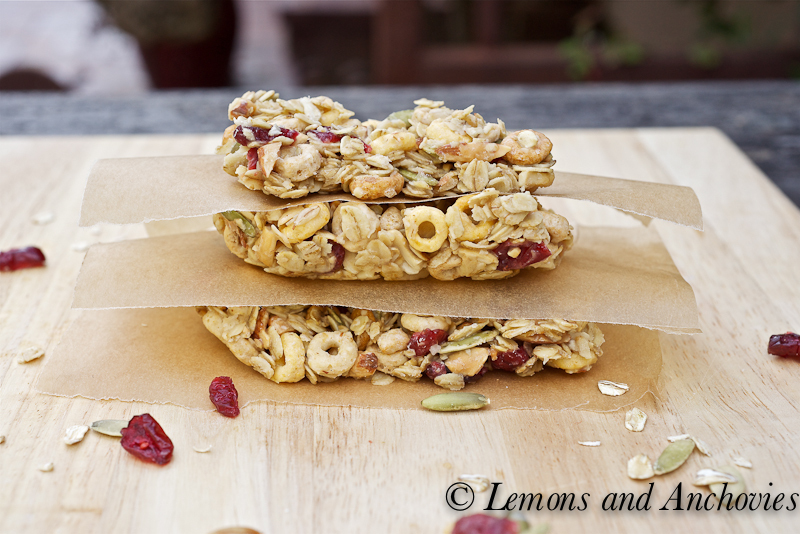 Additionally, Multi-grain Cheerios make an appearance to add a welcome crunch to the bars. Quite clever, I think. These granola bars taste lighter than most store-bought versions I’ve had before. Besides contributing to the chewy texture, the base also lends a mild caramel flavor that enhances the nuttiness of the toasted cashews, almonds and pumpkin seeds. The dried cranberries add the necessary fruit component for that extra, natural sweetness. You might have noticed the irregular shape of my granola bars. I was so excited at the prospect of taking my pictures outdoors that I didn’t wait until the batch had fully set before I cut it in pieces. Well…though I still managed to miss the best light of the afternoon and my bars aren’t perfect rectangles, my husband has enjoyed these bars with a couple of glasses of milk in the time it’s taken me to write this post. I consider this success. Line a 9 x 13 inch baking pan (lengthwise and widthwise) with aluminum foil and spray lightly with vegetable oil spray. Toast the almonds, cashews and pumpkin seeds in a pan over medium heat, stirring often to avoid burning. Toast until the nuts and seeds are fragrant and golden brown, about 5-7 minutes. Transfer to a large bowl. In the same pan (now empty), add the butter and melt over medium heat. Stir in the oats and cook, stirring often, until golden, about 4-6 minutes. Transfer to the same bowl as the nuts and seeds. Also add the Cheerios and dried cranberries to the bowl at this time. To make the caramel, pour the water in a heavy-bottomed medium saucepan. Pour the sugar into the center of the pan, being careful not to let the sugar touch the sides of the pan. Gently stir in the sugar with a heatproof spatula then bring to a boil over medium high heat. Cook without stirring until the sugar has dissolved and the caramel has a faint golden color. This will register about 300ºF on your candy thermometer and will take about 5-8 minutes. Reduce the heat to low and continue to cook the caramel, stirring occasionally, until it is a dark amber in color. The candy thermometer will read about 350ºF and will take about 1-3 minutes. Take the pan off the heat and whisk in the half-and-half. The mixture will steam and bubble. Whisk until the mixture is smooth, about 30-60 seconds, then add the vanilla extract. Quickly stir the hot caramel into the nut-oat mixture until well-combined. Transfer the mixture into the prepared baking pan and press firmly into an even layer. Let the granola cool completely (at least 30 minutes). Remove from the baking dish and cut into 16 bars. The bars may be stored in an airtight container between layers of parchment paper for up to 5 days. OMG Love Love these granola bars. I have been on a granola everything lasting kick and these are so gorgeous and delicious looking. Definitely saving this recipe!! I love your granola bars even if they have irregular shapes. I recently tried and finally succeed in making granola bars and now I could not go with store bought ones. I have to try your recipe too, love the addition on the Cherrios and the caramel, I can only imagine the smell. Thanks for sharing. Congrats to Sara, I love her blog. These granola bars look like something I could eat anytime of day, Smiley! 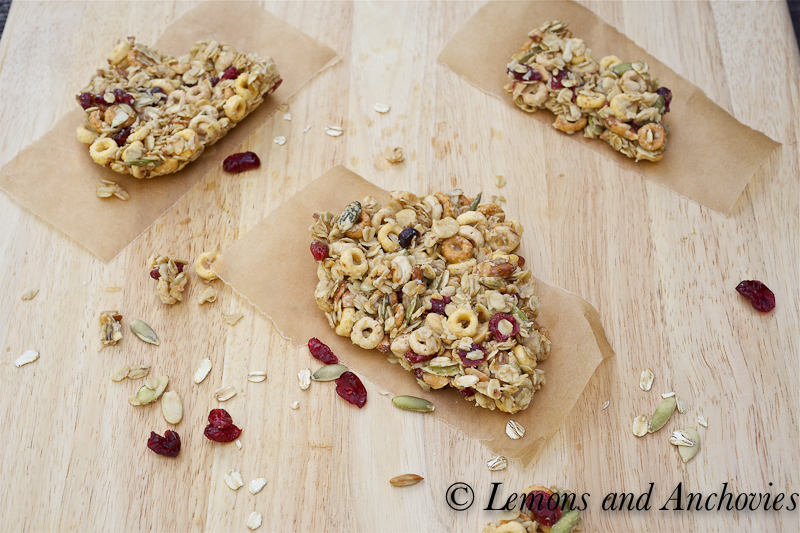 Great looking granola bars! My life has been super crazy busy recently too and I need something simple! Nice recipe! Jean: I luv these granola bars you’ve shared and all the healthy, tasty ingredients. I too have been wanting to try my hand at granola bars…just haven’t gotten around to it yet. There is nothing not to love about these. The ingredients, the “chewy” base, it all sounds delish. 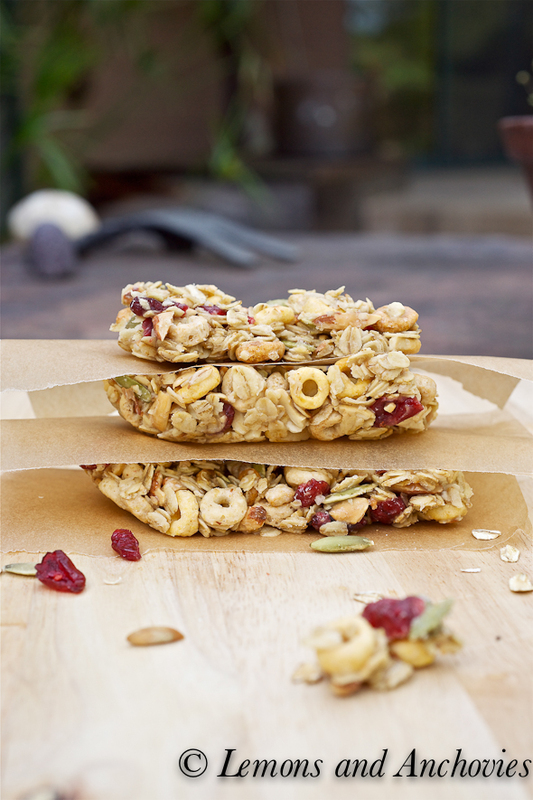 I’ve never tried granola bars, but these are a great excuse to get my hands dirty! Wonderful granola bars. My very favorite snack. Definitely making these – I’ve wanted to try my hand at homemade granola and/or granola bars for a while and I love all the healthy ingredients in yours. Plus, Multi-grain Cheerios has been my daughter’s favorite cereal for probably 10 years. 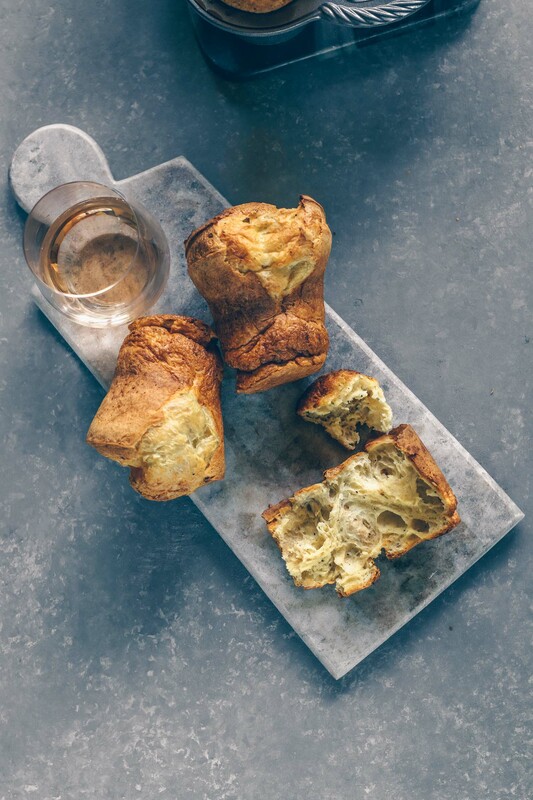 Thanks for sharing this great recipe, Jean! For some reason my bars didn’t stick together – even though I let them set for over two hours before attempting to cut them. They crumbled into clusters – not the end of the world (since they were DELICIOUS!) But I’m eating them like ‘cereal’ instead of as bars. I kind of like them as clusters because I threw in some salted cashews and now it’s a trail-mix. Maybe next time I’ll try a double batch of the caramel to see if it was a quantity issue.